These steel high quality Hormann front doors offered by Arridge at heavily discounted prices come in a range of styles, 15 colours and 4 woodgrain effects with accessories and optional extras available. They offer excellent Thermal and Acoustic insulation with standard and made to measure sizes available. The Thermo46 door is 46mm thick and has a U-Value as low as 1.2W per metre squared Kelvin depending on the exact model of door. The Thermo65 is 65mm thick with a U-Value as low as 0.8W per metre squared Kelvin. 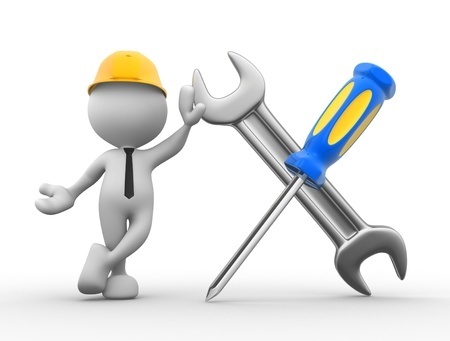 All come pre-installed to a matching steel frame for easy on-site installation. In various contempory and traditional designs, the Hormann Thermo46 and Thermo65 ranges of front doors offer German quality engineering at sensible prices. 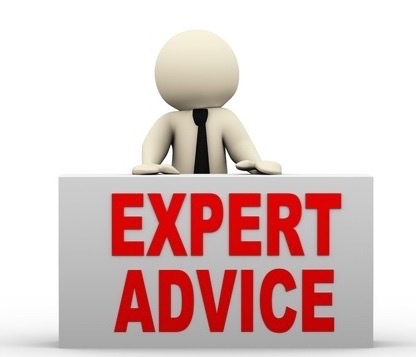 Many doors from the ranges can be upgraded to "Secure by Design" approved which can bring down insurance premiums. Multi-throw, multi-point locking, as standard. Low threshold, extra strong hinges and brushed stainless door furniture. Double seals on all four edges of the door give excellent draught-proofing (treble on the Thermo65). The two standard sizes (tight external frame sizes) are 1000mm x 2100mm and 1100mm x 2100mm. Also available made to measure. 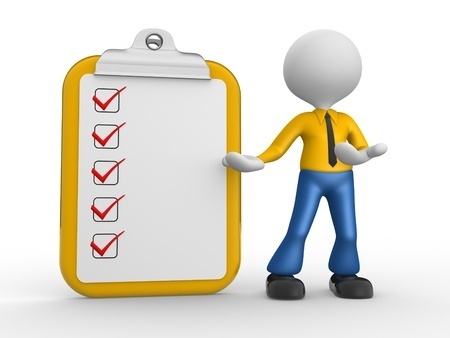 Please measure your opening accurately and contact us for help, advice and prices on made-to-measure doors. Side infill glazing panels for the Hormann front doors are available. 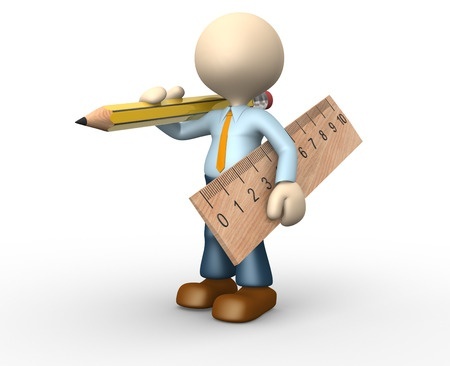 Please measure and enquire. 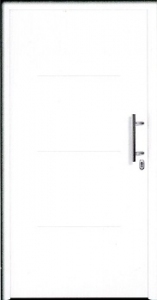 Hormann Thermo46 and Thermo65 entrance doors, German quality at sensible prices. Manufactured in Germany exclusively by Hormann, the Thermo46/Thermo65 range of doors have a range of features making them one of the highest quality front doors available on the UK market. Highly automated efficient production techniques at Hormann plus heavy discounting of the list prices by Arridge ensure keen prices as well. Thermo46 and Thermo65 doors make for an exquisite and elegant reception, whether you use them for a main or a side entrance. The shapely door leaf with its solid interior and exterior and leaf profile on the inside fulfills the highest design requirements. The interior view harmonizes perfectly with residential internal doors. Since 2013, the Hormann has obtained 40% of its required energy from green sources and will continue to increase this percentage. At the same time, many tonnes of CO2 are saved each year thanks to the introduction of an intelligent and certified energy management system. Thermo46 front doors in a little more detail. Door leaf is 46mm thick, with a highly insulated rigid foam core and smooth steel interior and exterior skin. UD-value up to 1.1 W/ (mK) on most models. Available in two standard sizes: overall frame size (ordering size) 1000 x 2100 and 1100 x 2100. Also available in made to measure sizes 875mm to 1250mm wide, and 1875mm to 2250mm high in most models. 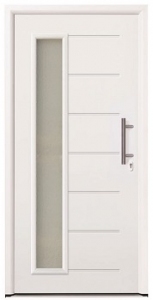 Smooth flat interior door face in the chosen colour of the door gives an exceptionally neat internal appearance. The inner and outer steel door skins have a thermal break between them maximising thermal insulation. The composite frame to the door invisibly hidden within the door leaf is very stable ensuring the door will not warp or twist. Double throw steel locking bar. When the key is turned and turned again the hardened steel locking bars locate deep into the frame. Steel conical swing bolts and security bolts. Steel swing bolts and bevelled security bolts top and bottom locate into the frame and gently seal the door to the frame. Soft latch is reassuringly quiet and strong. Soft latch engages quietly when the door is closed adding quality “sound” to the door, like closing the door on a quality car. Hinge side security bolts locate into the frame. Three steel security bolts on the door leaf locate into the frame behind the hinges ensuring that the hinge side of the door is very secure as well. 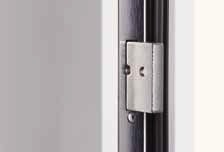 The hinge side is the most vulnerable on most doors, but not on the Thermo46 range. Double throw steel locking bar. Steel swing and security bolts. Strong and quiet Soft Latch. 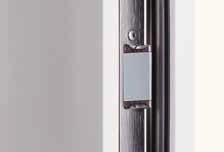 High quality standard features on Thermo46 front doors. 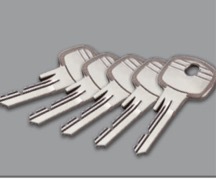 The Europrofile cylinder lock comes with 5 keys as standard. No time and money consuming trips to the key cutters required. A brushed stainless steel lever handle and stainless steel escutcheon on the inside of the door. 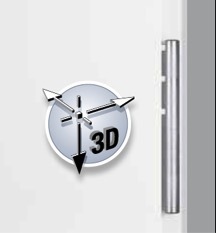 Stainless steel escutcheon on the outside plus the appropriate handle for your chosen model of door. 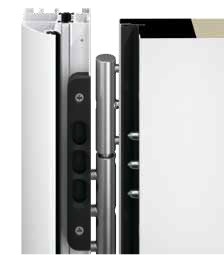 Sturdy three way adjustable stainless steel door hinges enable accurate fine-tuning of the door alignment and action on site. Thermo46 comes with 5 keys. Brushed stainless steel lever handle. Three way adjustable stainless steel hinges. Frame and threshold details on Thermo46 and Thermo65 front doors. As you know the Thermo46 is 46mm thick, and the Thermo65 is 65mm thick. An all round soft rubber gasket, and in the case of the Thermo65 model a double all round gasket runs round the perimeter of the door leaf. Double seals along the bottom edge (treble seals on the Thermo65) in conjunction with a Thermal brick in the threshold keep draughts out. Thermo46 frame with thermal break and all round rubber seal. Profile A1. Thermo65 frame with thermal break, foam infill and double all round seal. Profile A3. Frames with curved front edges come as standard. See pictures above. 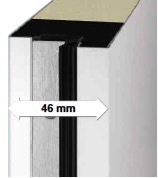 Many customers who choose the Thermo46 door prefer a square edged frame. This is a better match to the profile of the frame, which comes as standard on the side glazing elements and enhances the overall contemporary look created by this range of doors. Glazing for side elements and transom lights. Many Hormann front doors are purchased in conjunction with a glazed side element one or both sides of the door. Occasionally a transom light above the door is required. Glazed side elements in standard and made to measure widths from 300mm to 1000mm wide are double glazed on Thermo46 door, triple glazed on Thermo65 doors. The style of glass available in these side elements depends on the exact model of door they are fitted adjacent to. Below is an overview of the 6 types of glass available for Hormann front doors. 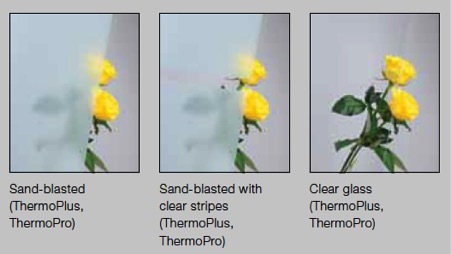 Hormann Thermo46 and Thermo65 glazing options. Sand-blasted, sand-blasted with clear stripes and clear glass. Hormann Front Door glazing options. Mastercarr, Ornament 504 and Cathedral small hammered finish. General important note concerning all Thermo46 and Thermo65 doors. The door leaf as it opens inwards is only about 10mm off the floor, 4mm on a Thermo65. The inside floor level cannot be built up after installation. The door threshold has to sit on the finished floor or packers to the equivalent height. Any floor build up added after installation which has not been accounted for (e.g.) the addition of tiles on the floor, carpet etc., will prevent the door from opening. The Hormann MZ Thermo46/Thermo65 doors are a lower cost alternative to the Thermo46/Thermo65 doors, available in a limited range of designs. 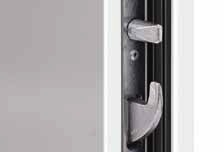 Comes with standard mortice sash lock rather than multi-point locking. An ideal garage side door on prestige properties and for customers who require a higher specification from a garage side door. Please send us your sizes, photos if possible, and any questions using our contact us form, or phone on 01691 670394. We look forward to hearing from you. 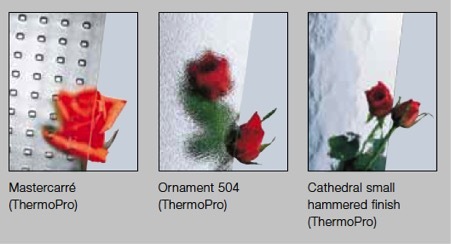 Some helpful technical details on Thermo46 and Thermo65 doors. Technical drawings of Hormann Thermo46 frame options. Technical drawings of Hormann Thermo65 frame options.